(PhysOrg.com) -- Scientists using data from NASA's Wide-field Infrared Survey Explorer (WISE) have discovered the coldest class of star-like bodies, with temperatures as cool as the human body. This is great. A whole bunch of mass that one couldn't see before. 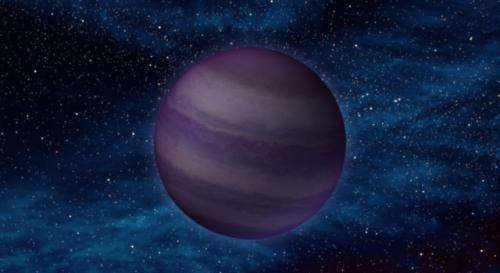 WIth (Y class) brown dwarfs, I wonder what the source of energy is? The mass is to small to ignite fusion but what powers this star type then? Do they just cool down as earth will do? Are they then to be classified as gas giants (as Jupiter) or "planets" instead of stars. I wonder what its surface would look like. 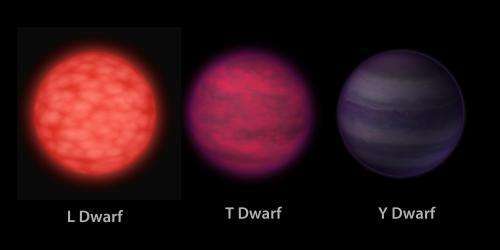 With some Y-class brown dwarfs it is nice and cosy with its almost room temperature. It would be great to know the location in the sky of some of the closer ones. Any sources for that information? And of course these objects could have planets, right? 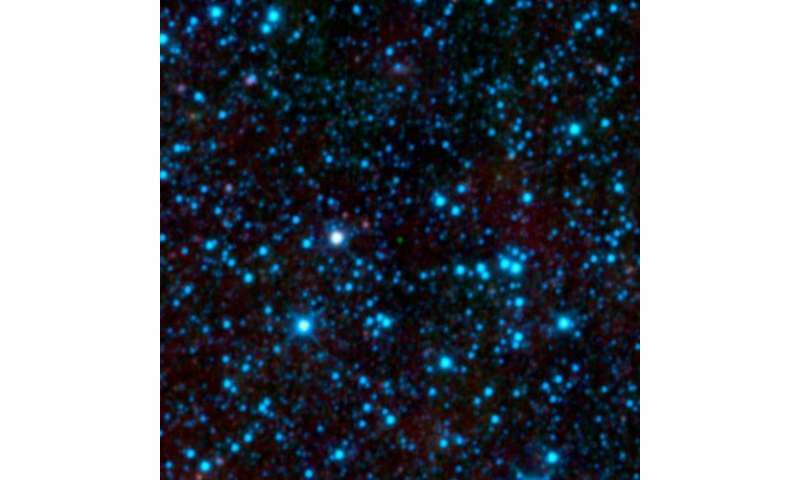 And something akin to our own Oort cloud? It appears that there is a lot out there to run into. This is your dark matter secret. The universe is a amazing place. Who knows what we will find tomorrow. Is there a hunk o' neutronium in the core of this almost star, Oliver? epsi - Spot on man. There is so much we dont know about the universe, we just have to accept that we cant complete the picture just yet, instead of making up stuff like Dark Energy. If dark matter and dark energy were renamed "missing mass particle(s) that are very faint or invisible" and the "weak repulsive force of the universe" would there be a difference of how people respond? Of course, because they don't sound "crazy" and from Star Trek. People get hung up on the names which are just arbitrary and at this point in time it's just childish. Dark energy exists because we can see the universe being pushed apart which is a name given to a phenomenon with the mechanics of this push unknown (AFAIK). We could have named it Effect XityZed-1916 and there'd be no difference! People just don't make this stuff up for shits and giggles, JESUS! what's the estimated mass of these y dwarfs? now the key is to look for things between Jupiter size and dwarf size. Jaeherys, It says i only gave you a 5 star rating but in my head you got a 50 star rating. Thank you, i get so tired of hearing people get hung up on the word dark and dont realize we say dark because like it suggests we are not completely aware of what it is, but it is an observable effect. Jesus has been mentioned and maybe we name a star on his name and maybe all this idolatry over a convicted and executed roman criminal will cool down. regards. "what's the estimated mass of these y dwarfs? now the key is to look for things between Jupiter size and dwarf size." Thanks for those links, folks !! IMHO, Dark Energy and Dark Matter are just fancy names for variables instead of the usual "x" and "y" any algebra student remembers. They allow for equations to be solved without actually knowing what the variable is, but it can be substituted whenever it's actually found. Body-temperature brown-dwarf stars play a very central role in David Talbott's Saturnian reconstruction. The diffusely illuminated atmospheres of these bodies can apparently expand to great distances, far beyond the orbits of planets. This is a very important fact, as that would suggest that those planets have neither seasons nor days -- the perfect location for the origin of life. These things are mentioned in Wal Thornhill's book, "The Electric Universe". Weren't there some "y" dwarfs in the Clinton administration? Or maybe it was the Carter administration. There is a debauched dwarf in Game of Thrones.